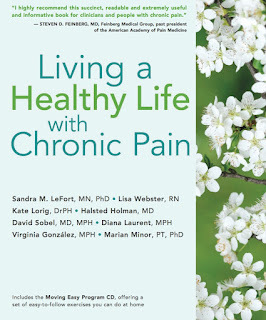 I cannot think of a better way to wind down “September Awareness of Chronic Pain” than by sharing with an interview I did with Orvie Prewitt on the Stanford Chronic Disease Self-Management Program. Setting goals when living with chronic pain can be difficult and rewarding. Orvie Prewitt knows this first hand, and she knows what a good self-management program can do to help us move forward in our lives. Orvie is the “Program Coordinator” for the Kansas City Regional Arthritis Center (KC-RAC). The KC-RAC is one of Missouri’s seven Regional Arthritis Centers, which allows the State of Missouri to provide programs and services through the National Council on Aging. No other state utilizes RACs to provide programs/services through funding from Prevention as well as the National Council on Aging and the Centers for Disease Control. It would be wonderful if the CDC will also support the Stanford Chronic Disease Self-Management Program because it would be a great fit for their arthritis program funding. Pain is at the top of the list of symptoms for arthritis. Orvie is a Trainer/Leader for both the Stanford ChronicDisease Self-Management Program and the Diabetes Self-Management Program. She originally took the Chronic Disease Self-Management Program herself, so she knows of what she speaks from a unique perspective. Her personal goal as a “peer leader” is to help us understand we can achieve a better quality of life despite living with chronic pain. I asked Orvie for some specific information regarding the program, such as how it was developed and how it is evaluated. From here on, we will refer to the Stanford Chronic Pain Self-Management Program as CPSMP. The CPSMP was developed by Sandra LeFort, PhD, MN, RN in 1996 at McGill University in Montreal and that it was later updated at Memorial University, St. John's, Newfoundland, Canada, with Lisa Cardas, RN of Toronto. The CPSMP was developed in conjunction with Dr. Kate Lorig and the staff of the Stanford Patient Education Research Center. 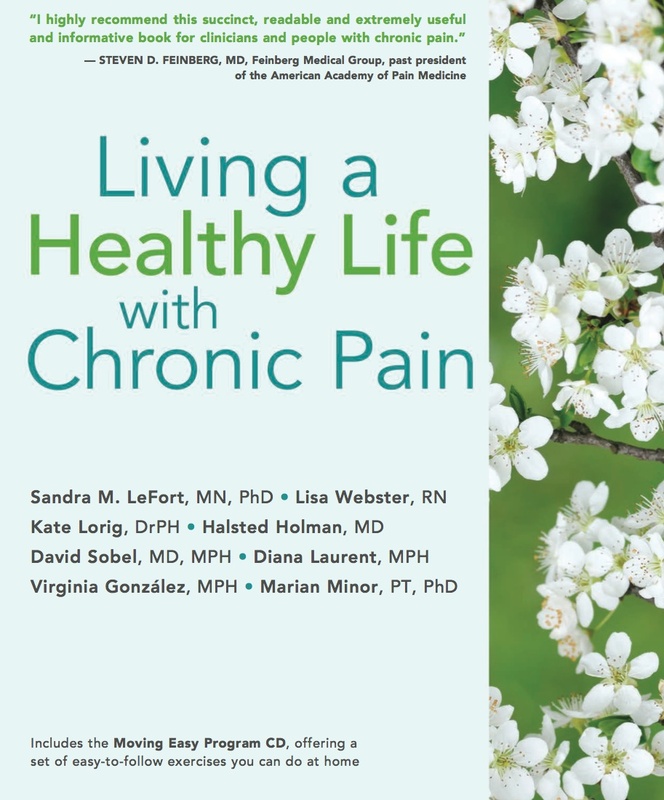 In 2015, the program was revised for a second time and a new book, Living a Healthy Life with Chronic Pain, was written to accompany the program. Participants had more vitality or energy, less pain, less dependence on others, improved mental health, and they are more involved in everyday activities. They are more satisfied with their lives compared to those who have not taken the program. Evaluation of the program across 10 pain clinics in Ontario, Canada found it to be beneficial for participants in terms of coping skills, education, and overall quality of life. To date, the program has been delivered to hundreds of individuals with chronic pain. Like other Stanford self-management programs, the CPSMP is led by a pair of peer leaders who understand because they too live health problems. Orvie says she learns something new every time she co-leads a CPSMP, because the program is very interactive and allows everyone to share with, and learn from, others. She says there are seven topics for effective self-management of chronic pain, which must be strictly adhered to in the CPSMP. A buddy system is started the 2nd session of the CPSMP. Orvie says she and her co-peer leader encourage participants to continue to communicate after the CPSMP. However, since it is a self-management program, Stanford will not allow Leaders to collect contact information to share. Someone in the group coordinates this, if desired. And, Orvie says the KC-RAC has found participants are staying in touch. Like all the Stanford Self-Management Programs, Orvie says the CPSMP insures privacy according to HIPPA guidelines. There is suggested reading between meetings, but it is not mandatory since this is a self-management class. The cost to attend as a participant is dependent on the organization offering the program. If you are interested in attending, becoming a peer leader, or facilitating a Stanford Chronic Pain Self-Management Program through an organization in your area, here is what you can do. Outside of Missouri, visit http://patienteducation.stanford.edu/programs/cpsmp.html.